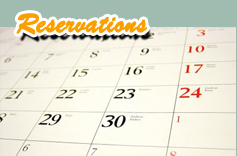 Book your spot now and let us take care of the rest. 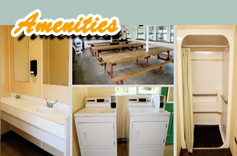 Top quality amenities to help make your stay pleasant. We are just minutes from downtown Natchitoches! 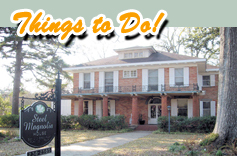 Every day is filled with things to do around historic Natchitoches! Natchitoches is the original French colony in Louisiana established in 1714, and the oldest surviving settlement of the Louisiana Purchase. Nakatosh Campgrounds are ideally located only minutes from three historic fort sites, Creole plantation homes, the Cane River National Heritage Area, many museums, historic homes and churches, an alligator park, a fish hatchery, and recreational outdoor activities including fishing, hiking, canoeing, or walking through a nature preserve. Experience the charm of Natchitoches during the Festival of Lights and Christmas Festival, one of the nation’s oldest community-based holiday celebrations. Whether you’re an avid camper looking for the best Natchitoches campground, or just an RV park to “call it a night” in your home away from home, the Nakatosh Campgrounds offer plenty of options to suit any need.